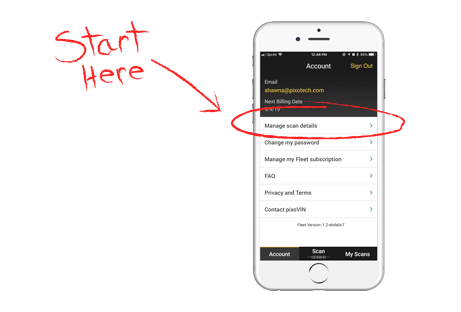 Quick account setup: Verify your email and create your password for your FLEET account. Sync across devices: With one FLEET account you’ll be able to log in on any Android or iOS device. Scan VIN Barcodes: Use any iPhone, iPad, or Android device to capture the VIN from any automotive barcode. Real World Scanning: Scan auto VIN barcodes in low light, high glare, and all lighting conditions. Manual Entry: Use the keyboard to add a VIN manually, for when a barcode is not present. VIN Decoding: Basic VIN decoding including VIN, Year, Make, Model, and Trim. Custom Details: Define the set of details unique to your workflow. Dropdown values: Add quick pick options to your custom fields to save time and promote consistency. Notes: Add as many notes as you need to gather data not captured in your custom fields. Photos: Take or attach photos. Timestamps: See list of past scan dates and times including every date and time a particular auto was scanned. Location: See approximate GPS location for every scan. History: Keep a history of all vehicles you have scanned or entered. Organize: Search, sort, and filter vehicles from the My Scans page. Print: Print your FLEET data onto your business forms like work orders, invoices, and more. This features requires design and setup from Pixo and is an additional one time cost. 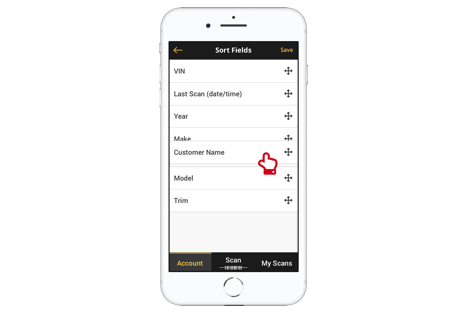 Purchase Vehicle Reports: Use the EpicVIN button at the bottom of vehicle details to purchase additional reports, such as auction pricing, title history and more. FLEET now gives you even more control over your account. 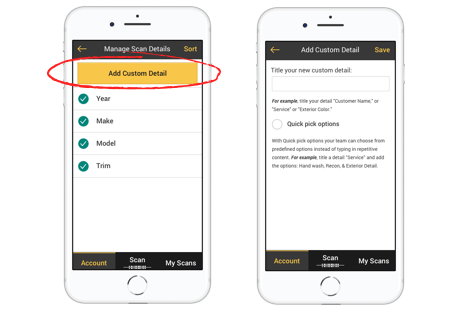 You can create the details that you want to capture such as Customer Name, Odometer Reading, Vehicle Color, or any other information that you want to capture. 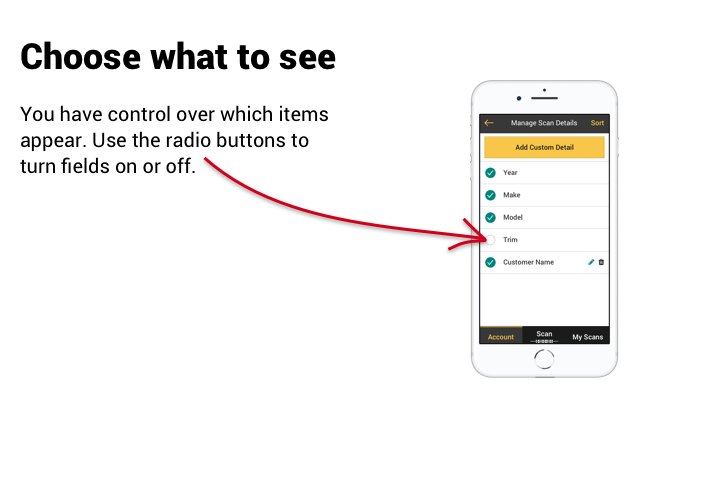 You’ve added the Detail field for the information you want to collect. Now you can set Quick Pick options, if you want, to create a drop down of values to choose from. This shows how your Quick Picks will appear on the “Vehicle Detail” page for a scanned vehicle. 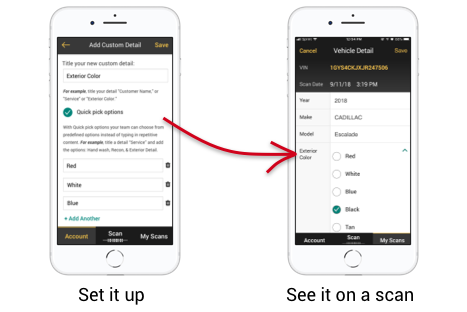 Use the new sort feature to customize the layout of your “Vehicle Detail” page and set the column or line order for your exports.